Last October we found ourselves in a very stressed out state. We were working too much (a common theme in our life) and not getting enough family time. There was only one thing to do. We jumped onto booking.com and booked an cottage in Worcestershire in the West Midlands for five days and four nights. For us this was a major luxury. It may come as a surprise coming from someone who writes a family travel blog but we haven’t been away for that long in more than five years. We live on a farm and it’s almost impossible to get away for longer than a weekend so we’ve become experts in the mini-break. There is a really boring answer to this question but I’ll leave that until last. I have visited the West Midlands a few times before. All previous holidays here have been aboard a canal boat. They were some incredible experiences through some beautiful countryside (and Birmingham) but we weren’t able to get very far from the tow path. We also once had a brief stopover in Stratford-Upon-Avon. I’m a big Shakespeare fan and I’ve been keen to return to visit the Birthplace and other places of interest in the area. 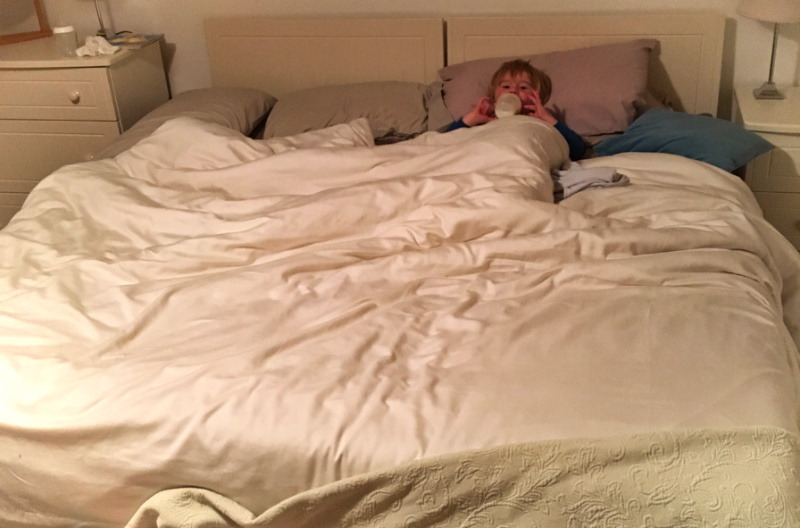 The boring reason is that our favourite trade show was on that week at the NEC in Birmingham so it was a convenient to combine a work trip with a much needed family holiday. What did we do in the West Midlands? 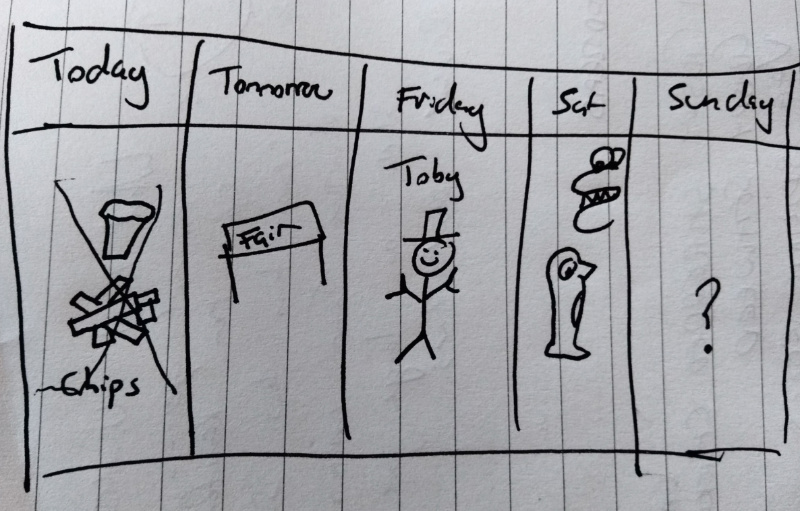 Ted loves a holiday, it doesn’t take much to get him excited. 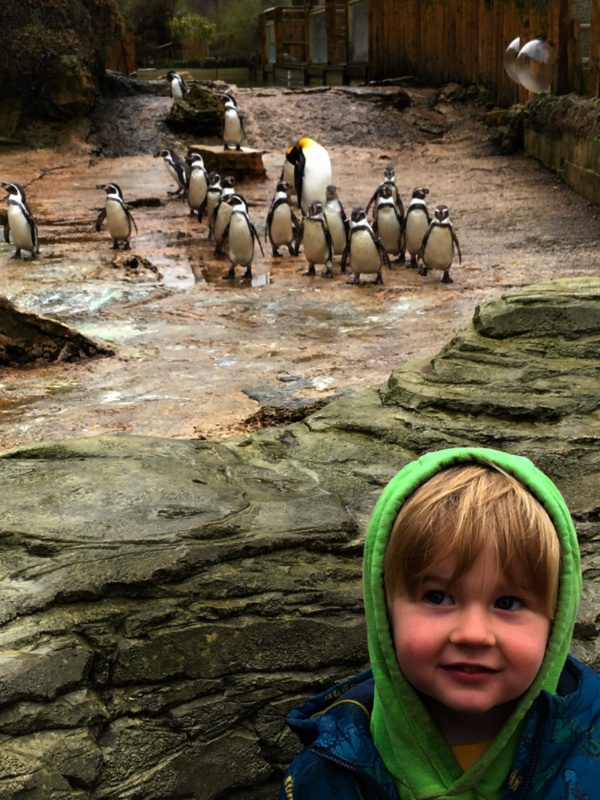 However, he was especially excited about this one because David’s mum had told him about the penguins at Birdland. To further fuel the anticipation they went on the website and discovered that Birdland also had dinosaurs. All we heard about for a week before our visit was penguins and dinosaurs. The problem with this was that we wouldn’t be able to get to Birdland until day 4 of the holiday. Far too long for a 2 year old to wait. In an attempt to explain this to Ted David drew this infographic. For anyone who is still confused, the picture on day one is of dinner. Day 2 is the trade fair. A difficult one to make exciting for a toddler. Day 3 is meeting up with uncle Toby in Stratford. Uncle Toby is a favourite so this was deemed acceptable but it was a close run thing. On day 4 we finally got to the penguins and dinosaurs. At this point day 5 was still a mystery. We ended up going to Cadbury World. We had a great time during our visit to the area. Bourton-on-the-Water (Birdland), Stratford-upon-Avon and Cadbury World all deserve posts of their own which I will get to soon. (Sign up to the newsletter for new post notifications.) We definitely found enough to do in the area, even on a rainy week in November. We’ve been lucky to have lots of booking wins using booking.com and this definitely fell into that category. We stayed at Lower Berrow Farm Cottages on this trip. The cottage was lovely. It was really large with two huge double bedrooms, one with en suite. We like to have a kitchen in case the children are awkward. We barely needed it but it was really spacious and well equipped. The outside areas were excellent too. Had we been there in summer it would have been perfect. In November we didn’t use the patio area and BBQ and one trip to the playground opposite was enough for Ted. We also put our heads round the door of the spa room but didn’t jump in the hot tub. The only downside was the beautiful stone floors. Miss May was 6 months when we stayed and was desperately trying to crawl. We had to layer up the floor with rugs, blankets and cushions so that we didn’t have a new bruise every time she face planted into ground (which was often). Other than that the cottage was well set up for kids with a cot, highchair, board games and DVDs for them. 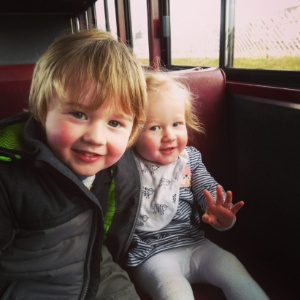 We loved our holiday to the West Midlands and would love to return. As always with family travel, things didn’t always run smoothly but I will save those stories for some other posts! What’s your favourite place to visit in the UK? We’re always looking for recommendations. Have you been to the West Midlands? What did you think? What did we miss?